What's Behind Monstroid, a Multi-Purpose WP Theme From TemplateMonster? Every day Google receives thousands of inquiries about the best WordPress theme on the web. Actually, I was also looking for a solution that would have a “wow” effect on me. And you know what? Recently I found one that suits me perfectly. Today I would like to share my experience with you by writing this Monstroid review. 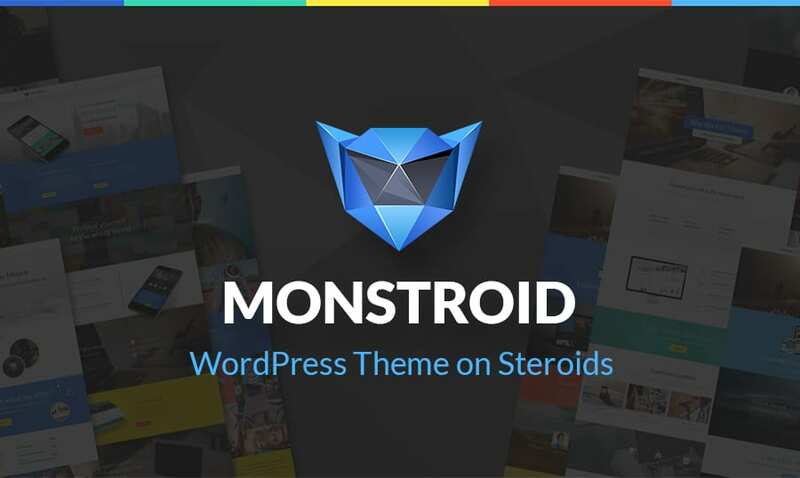 Btw, Monstroid is the first truly multi-purpose WordPress theme developed by TemplateMonster, a company with more than 9 years of experience in building WordPress themes. Monstroid theme is a universal solution that can be used by both coding gurus and WP beginners alike. No matter if you are new to web design or you have years of experience in building WordPress websites and blogs, if you want to create a blog, portfolio, business or eCommerce website, then Monstroid is just what you need. By saying that Monstroid is a multi-purpose WordPress theme, I mean that it can literally fit any web project. Do you need a theme for your blog or portfolio? Are you looking for the best solution for your eCommerce project? No problem. Monstroid comes loaded with everything that you will need for any of the aforementioned purposes. What I’d like to pay special attention to is that Monstroid comes with Full WooCommerce. 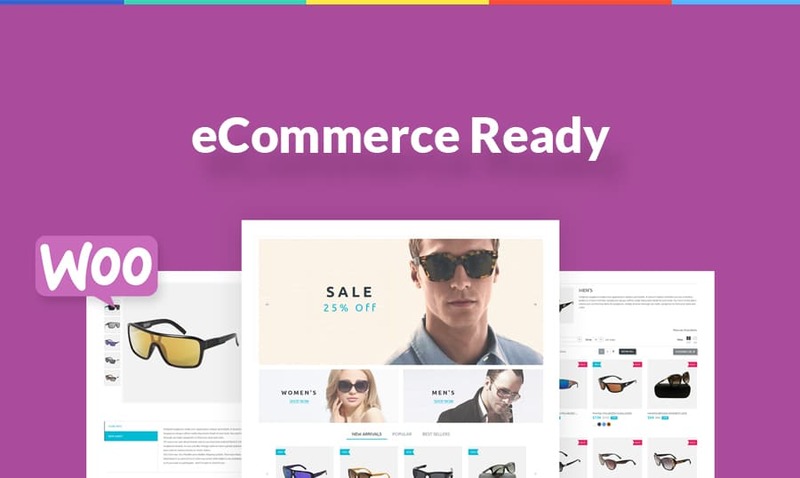 The template includes ready-made product pages with every element of design that you will need for building a fully functional online store. Product details, galleries, features and related items, commenting system, checkout page, payment methods, and other options were already integrated into the theme. All you need to do is replace the default content with yours and start selling for profit. What makes Monstroid truly awesome is a wide choice of child themes that you will get for free. When buying this WP theme you are automatically granted access to a rich gallery of templates of different topics, all of which are WooCommerce ready. At launch, there are 4 themes covering the most popular topics available. Education, Financial Advisor, Interior & Furniture, and Art & Photography – you can switch to any of these themes with a click, without losing any data. Later on, the gallery of Monstroid child themes will be expanded with about 15 new topics monthly. As a result, you can experiment with the design of your website, blog or eCommerce site as much as you wish, changing themes daily. 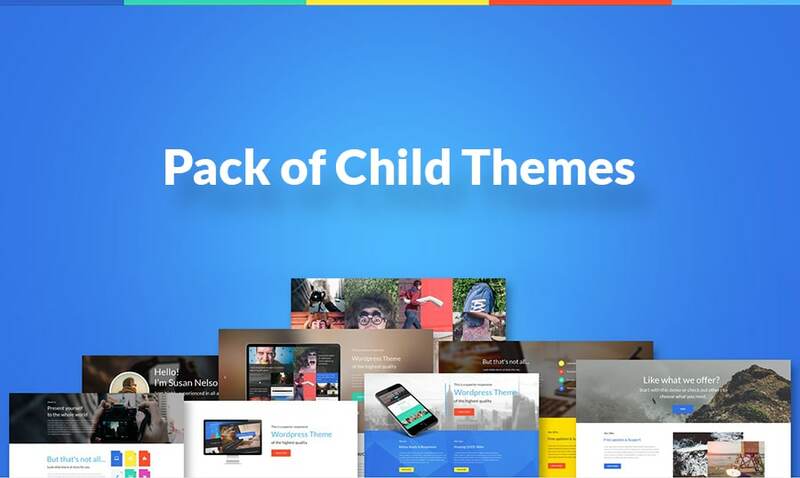 All child themes are stored on the cloud, so you do not have to download anything to your PC. Just pick the theme you like and install it. That’s it. Designing with style is so important today. Each business that wants to stand out in the marketplace needs to have a website polished to perfection and created according to the latest web trends. Monstroid looks sleek and stylish. The layout was built in metro style that is so popular today. What’s more, TemplateMonster took care to provide every user with the desired style for his or her web project. Thus, when buying Monstroid you get access to multiple child themes created in any design possible. So, if you prefer clean, minimal, flat, grunge or vintage styled themes, you will find literally anything in the Monstroid child themes gallery. With Monstroid, you can play with different skin styles and encourage your visitors to do the same on your site. This has been made possible with Style Skin Switcher. It’s a unique plugin developed specifically for Monstroid. With a single click of your mouse you can change the layout style to dark, flat or minimal. These three styles are available at the launch, but developers will add 5 more styles to the gallery in order to provide you and your site visitors with broader opportunities. Multiple layout options are also included to save you time and effort when modifying your site, or looking for the perfect look and feel of your site. 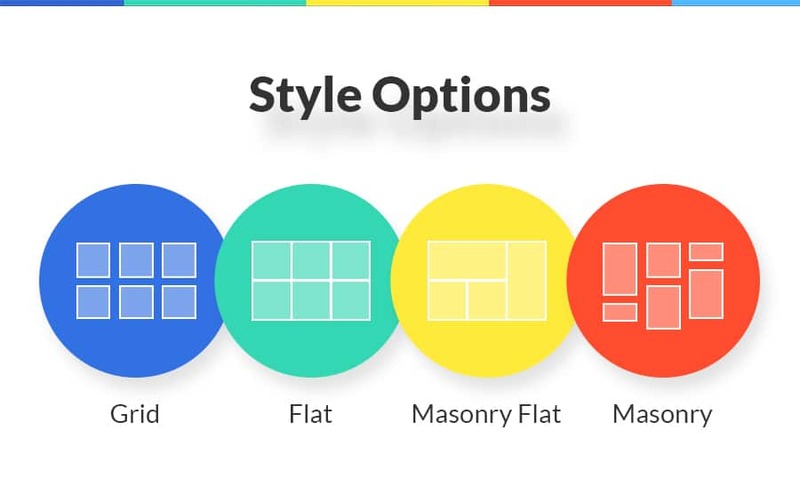 Thus, you can choose between grid, flat, masonry and masonry flat layout styles. Monstroid is packed full with features from which both beginners and pro WP developers can benefit. 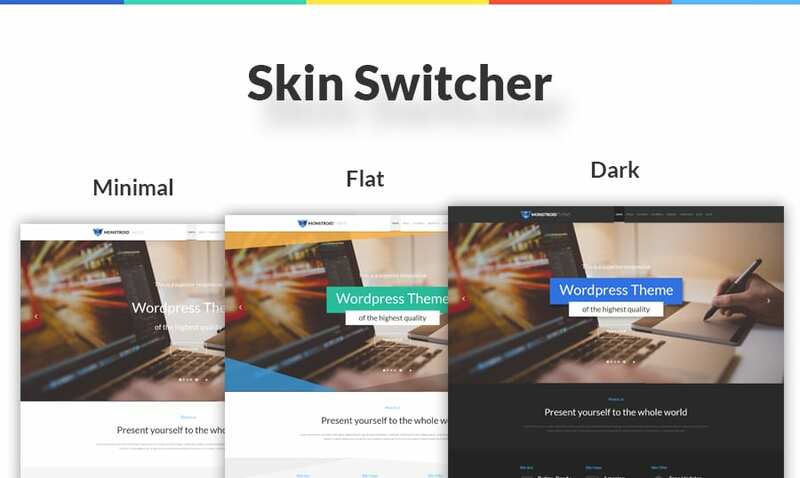 TemplateMonster’s team did its best to make this theme truly awesome and developed a number of plugins specifically for that purpose. Here are the features that, I guess, would be of special use to expert web developers, however DIY guys can also try their hand at their modification. 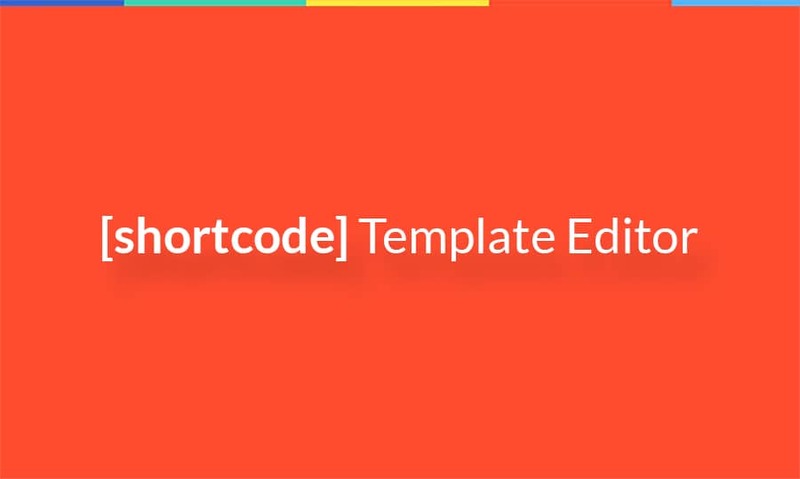 Shortcode Template Editor provides you with the capability of creating your own unique shortcode templates for your web project, and modify or delete them any time you wish. Static Area Builder is another cool feature that helps to create one-of-a-kind designs. It’s very simple and intuitive in use. By simply dragging and dropping you can change the position of any static element (logo, menu, slider, search bar, etc.) with regard to the header/footer. By enabling Dynamic CSS feature, you don’t need to rewrite the source code each time you wish to apply some changes. Instead, you generate a new file. ?SS minifier was added to improve page loading. With the feature enabled, all CSS files are compiled into one, with all content minified with the purpose of speeding up your site. Theme settings & admin panel backup/restore is another great feature that lets you experiment with the design, just the way you wish. In case you need to return to the default settings or previously saved settings, this option is always available. Settings backup feature allows you to store settings and website data on any server you wish, and restore it whenever you need it. 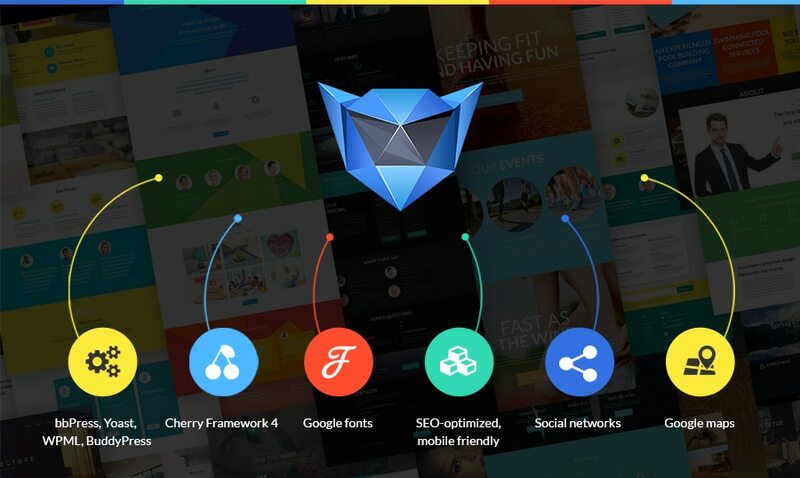 Not so long ago TemplateMonster presented a fully revised version of Cherry Framework. Cherry 4.0 is loaded with every plugin, shortcode, extension and theme option that users might need to build a competitive web resource. Its modular structure provides unlimited possibilities in terms of coding. The thing that I enjoyed the most is that Cherry 4.0 allows you to enable/disable different theme settings, without the need to overload your site with unnecessary elements. I mention this here because Monstroid is built with the Cherry framework. More importantly, as part of Cherry 4.0 pack, Monstroid includes a pack of powerful plugins that will add a new level of functionality to your project. So, by buying one theme you get access to many smart options, each of which would cost you a pretty penny when bought individually. Cherry Wizard. This is where theme installation begins. Cherry Wizard is a plugin developed specifically to make it easier to install the theme in a matter of clicks. Everything is as simple as one, two, three. You log into the WP dashboard, open the Plugins tab, click Add New and then Upload plugins buttons, download Cherry Wizard, and finally upload the archive to the WP admin panel. That’s it. Now you have Cherry Wizard installed and you can move on to the Monstroid installation. Cherry Shortcodes. This is the feature why many of us enjoy Cherry Framework. With the release of Cherry 4.0 and the development of Monstroid, life for many web developers all around the world has become much easier. Now you don’t need to write long lines of code or spend hours editing your posts. Any content modification can be done via a shortcode, and there is also a Shortcode Template Editor that I’ve mentioned above . 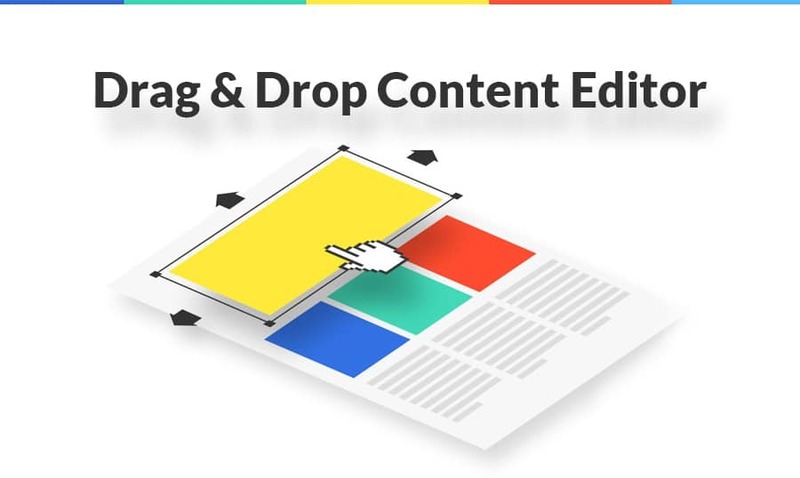 MotoPress Editor is a premium drag-and-drop content editor that is integrated into Monstroid, so by purchasing one design, you get additional paid option for free. MotoPress Editor is a cool option that will be of use to both beginners and experts. With its help even non-tech savvy users can create unique layouts by simply dragging and dropping different elements. No matter what element you want to move – header, footer, sidebar, logo, banners, slider, content area – everything can be managed with a click of a mouse. MotoSlider is an ultimate solution to the creation of responsive slideshows, smooth transitions and beautiful animation effects. This is another premium plugin in the pack. The slider is fully optimized for touch screen devices. There is also an option to add text, links, images or video to each slide. What’s more, you can animate each layer through one simple and intuitive plugin. Let’s review some of them below. 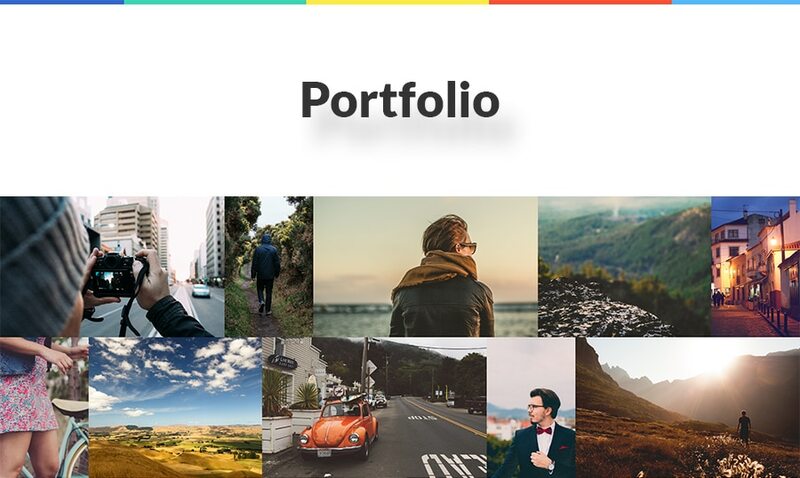 Cherry Portfolio plugin allows you to add a portfolio section to your website. And of course, it has a number of editing options. Cherry Charts was integrated to save you time and effort creating interactive charts and diagrams on your site. In other words, it will help you present numerical data in an easy-to-perceive manner. Due to the Cherry Data Manager plugin you can export/import sample data with a click. This option will be of special use to those of you who are planning to move to another web host and need to save all data. Cherry Mega Menu will enhance and improve your site navigation. With its help you can create a multi-column drop-down menu. Media data, links, rows, and column can be all modified via a simple admin panel. Cherry Blog Layouts is a great plugin that makes it easier to modify the blog layout without any coding skills. Add/remove sliders, change sidebars and posts position with the help of the mouse. We all know the effect user testimonials have on fellow shoppers. To gain more loyal customers and attract new clients Cherry Testimonials was added. With its help you can manage website/organization/product testimonials on your site just the way you do it with regular posts. With Cherry Sidebar Manager you can create custom sidebars with specific sets of widgets for any page or post. Cherry Grid allows you to organize posts and pages in a grid-based view. Width, images, item background color, excerpt length, and other grid options can be modified via a simple settings bar. Cherry Social adds sharing and follow links to your site. Just choose any network (Facebook, Twitter, Google+, Pinterest, etc. ), add to your page, and keep on managing social lists by editing URLs, icons and titles. Cherry Rank allows your site visitors to evaluate the quality of your products or services. Cherry Live Chat plugin adds a chat panel right to your WP admin panel. Through this, you can get immediate assistance from a qualified support team on any questions that you have. In order to be competitive in the marketplace, every business should have a website that displays smoothly on any device and web browser. Users shouldn’t have to wait long for the content of each page to load and adjust to the necessary screen size. • With Monstroid, you don’t need to develop a mobile version of your site or write long lines of code in order to make it crossbrowser compatible. Everything was done for you. • In addition, the theme is WPML-ready, which increases your chances of reaching international customers. It is compatible with other popular extensions, including bbPress, Yoast, Buddypress, etc. • It is SEO-friendly, which guarantees higher page ranking in the popular search engines. • Monstroid comes with Google map and full social integration, which makes it more user-friendly and provides visitors with broader possibilities. • Monstroid includes a cool typography page that displays all variations of Google web fonts that you can use in your design. The gallery is really huge. Here you can find almost any Google web font available over there. What Else Do I Get with the Theme? Monstroid is really powerful from the inside, don’t you think? With so many smart options and plugins included in one theme, there are more cool benefits that TemplateMonster’s developers have incorporated into the package. 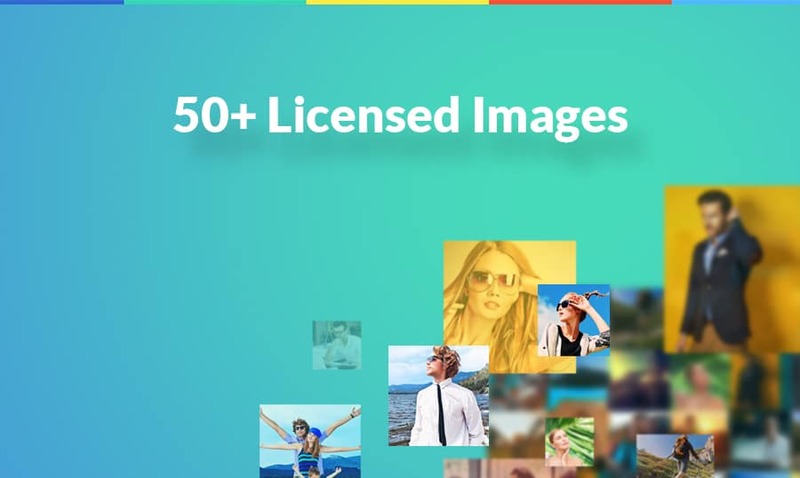 For instance, Monstroid comes with a pack of 50+ licensed images, a set of video tutorials, and detailed documentation. Finally, Monstroid comes with Free Customer Support. You can get assistance on any questions 24/7 either by email or via live chat. By choosing the latter, a customer support rep will get in touch with you within 2-4 hours after your request. Lifetime Updates – this is another great advantage of this theme. Paying a mere $79 for this monster, you will get unlimited access to all plugin updates, new child themes, additional features, etc. When an update is available, you will be automatically notified about it and decide whether you’d like to access updates or not. Summing it all up, Monstroid is an ultimate WordPress theme that can be used by beginners and pros alike. Coming with a rich set of features, plugins, shortcodes and child themes, its possibilities are literally endless. Do you need a cool design for your blog, portfolio, business or eCommerce project? Just give this beast a try and discover the true power of WordPress.